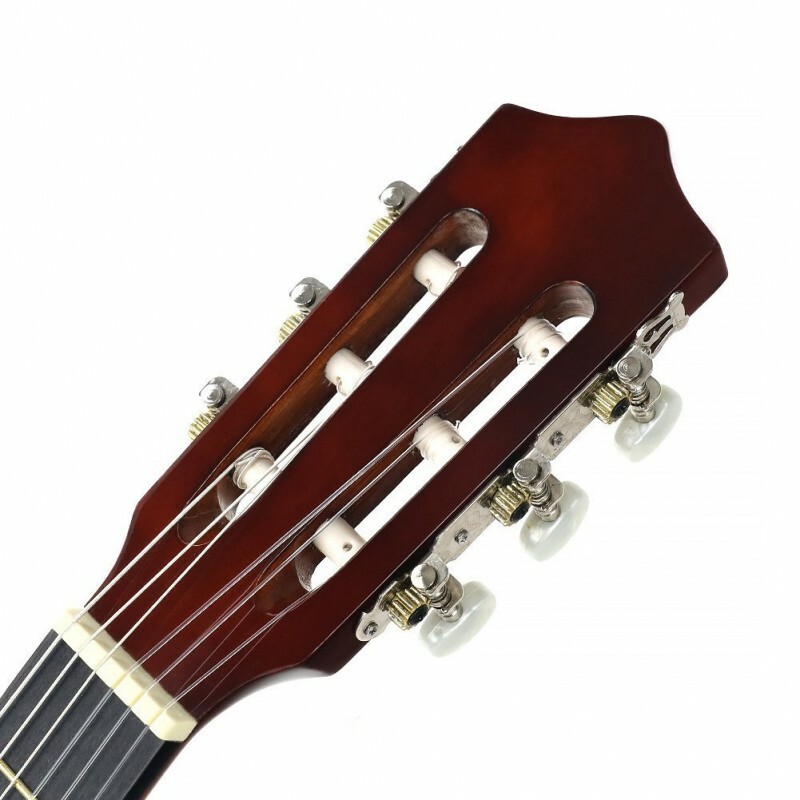 SMOOTH TUNING PEGS: The pegs of this beginner guitar are smooth and well made . It is easy to adjust with the chrome geared tuning head to keep the guitar in tune. 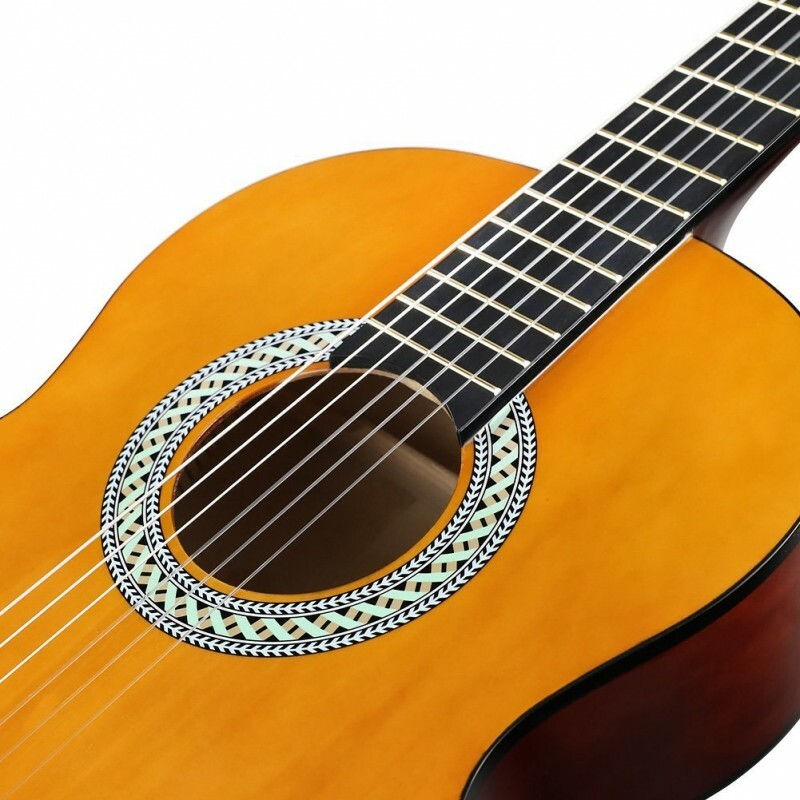 Smooth tuning pegs help a lot for people who are in hopes of training and learning acoustic guitar on their own. 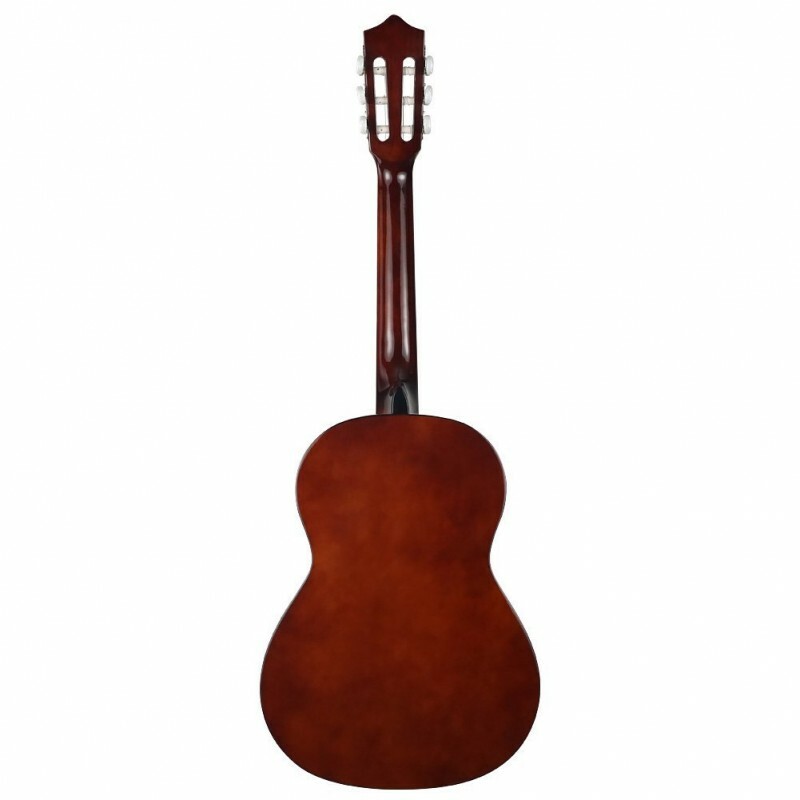 SOLID BASSWOOD TOP BACK SIDES: Strong Wind 36 inch guitar features a Laminated linden Top and sturdy & full-size dreadnought body with smooth curves, promoting comfort during playing. These solid basswood produce a smooth, rich, full and vibrant sound ideal for rock, folk, country and so on. 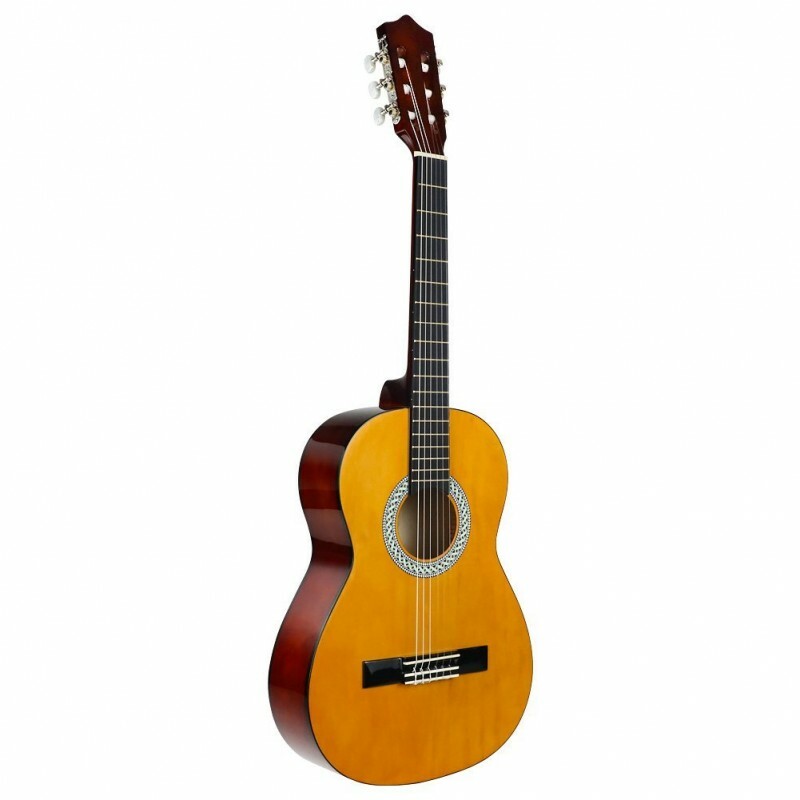 3/4 SIZE ACOUSTIC GUITAR: This 3/4 nylon string guitar is ideal for ages 8-11. It looks and sounds great. Easy to play for a beginner or a experienced player. You can easily change frets when learning to play guitar. 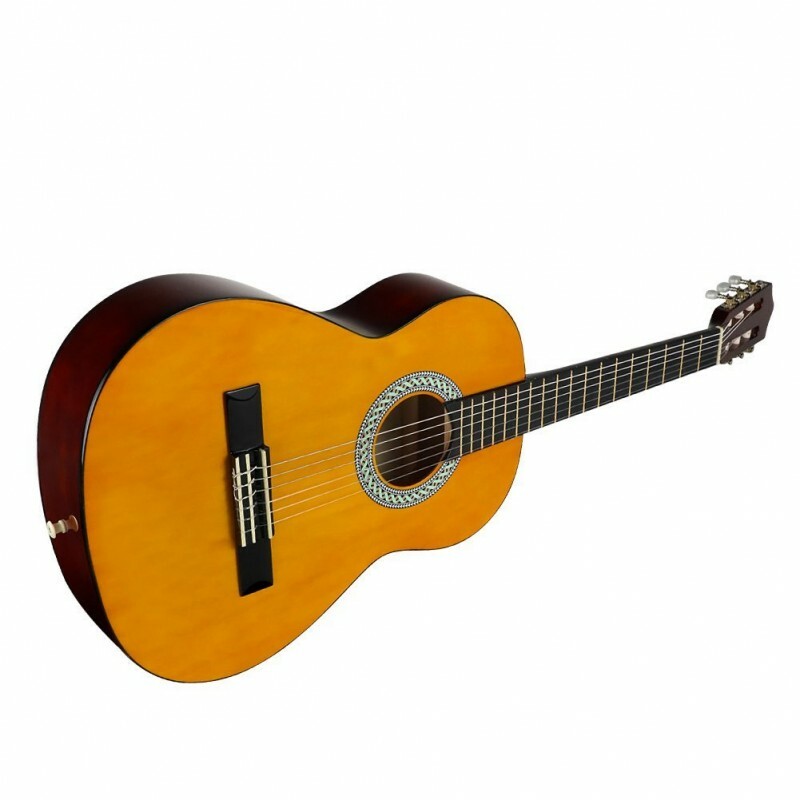 Easy to play, ideal beginner's musical instrument for students, children, boys, girls and adults. 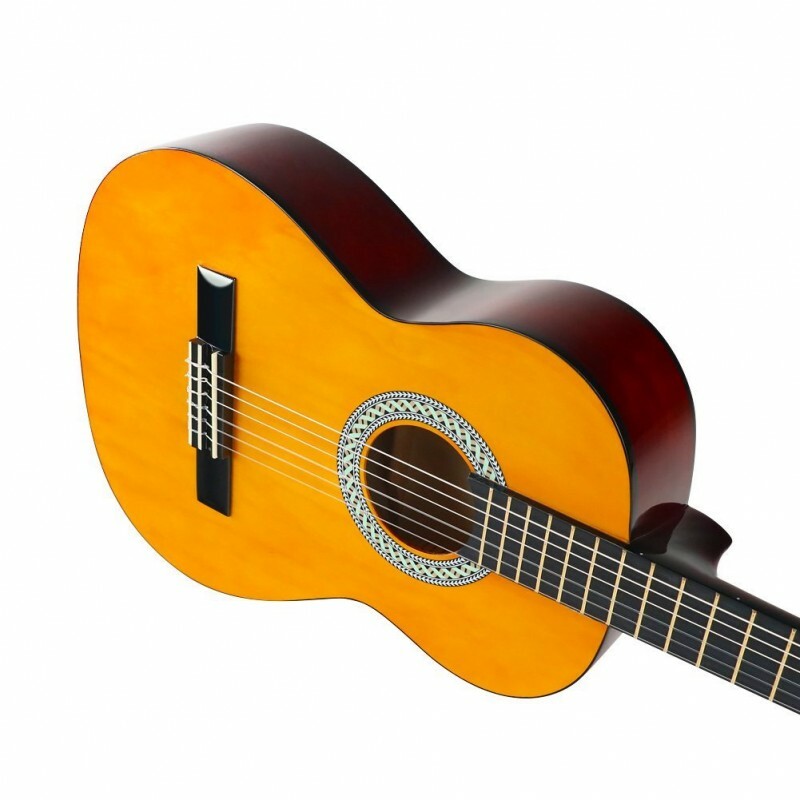 EASY TO TUNE WITH TUNER: The nylon strings may stretch at the very beginning, so please tune it every 5 minutes when you play it at the first time. And then, it will hold its tune. Electric clip-on E-tuner is easy to handle and helps you easily tune your guitar. Place the guitar clipped on the head of the guitar and it tunes beautiful very quickly. Enjoying learning a guitar after it is get in tune. 1 YEAR WARRANTY: Supermusic1989 offers 1 year warranty and lifetime service. 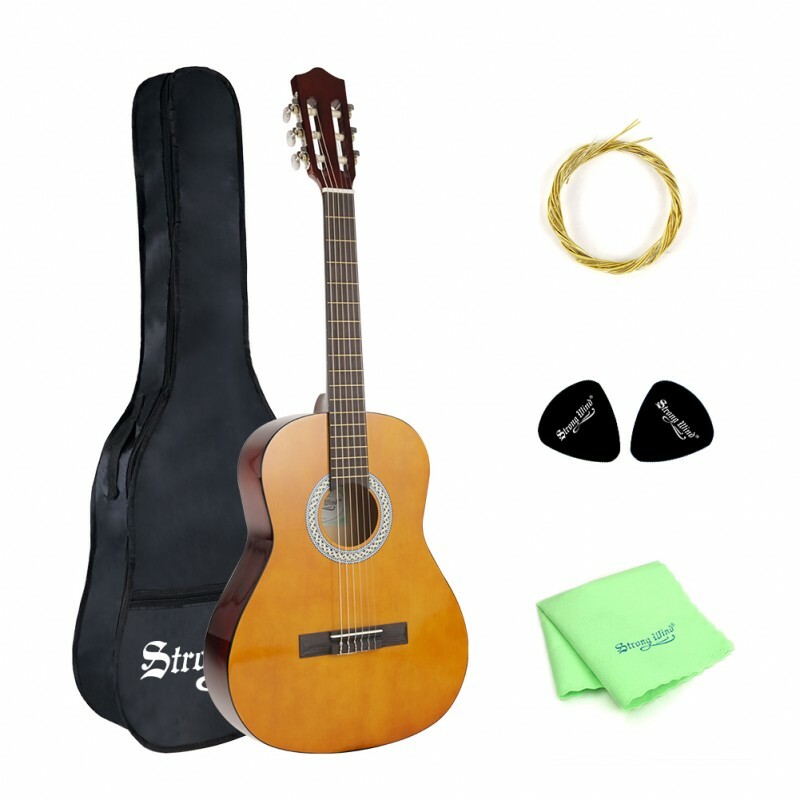 This guitar starter kit comes with everything you need to start playing the guitar, including a guitar clip-on tuner, sturdy gig bag for protection, 2 picks for sweeping string, extra nylon string for replacement when needed and a cleaning cloth. If you need a professional guitar with steel strings, please get to the link http://a.co/e9N1h0q.